Hi and welcome to my website! My name is Markus Schmidt and I'm a music composer. On this ite you can consult my references, listen to some of my music, watch videos or read what others say. For any inquiries, simply get in touch! 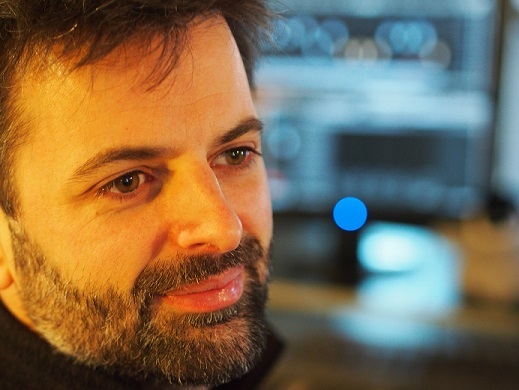 Markus Schmidt is an award-winning music composer, with over 15 years of professional experience in sound track production, including over 100 video game projects, various movie trailers, world-wide TV licensing and song arrangements for international artists (see full credits). While his music has been performed by national orchestras, Markus is himself a multi-instrumentalist and enjoys recording instrument parts himself. Markus also specializes in experimential sound design and unique sound creations, using unusual source sounds such as ice breakers or fish bowls which he records on his studio near Paris.